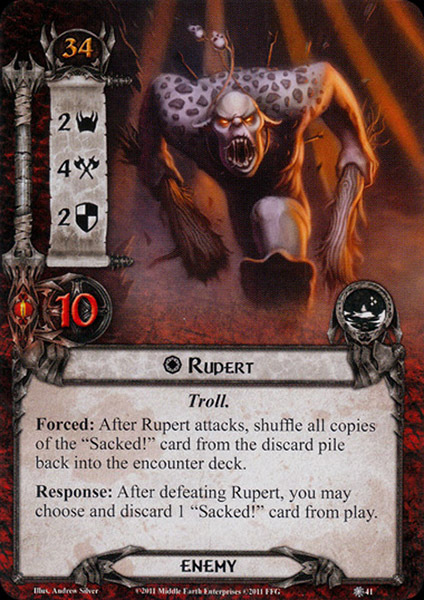 Forced: After Rupert attacks, shuffle all copies of the %27Sacked!%27 card from the discard pile back into the encounter deck. Response: After defeating Rupert, you may choose and discard 1 'Sacked!' card from play.